Engine was recently rebuilt and probably has less than 10 hrs since, engine hours before rebuild were IRO 3400 Hrs. Hull, Deck and superstructure are Scrimp composite sandwich construction, using closed cell foam and vinylester resin. Carbon mast and spinnaker pole. Primary and secondary cockpit winches are electric. Reportedly built by Trintella for the owner of the company, unfortunately most of the history of this fine vessel has been lost due to the untimely death of her owner. Whilst general in good condition she does need some work to bring her back up to scratch, in particular, the interior woodwork is not in great condition, but the owner was in the process of refitting her and there are lots of new electronics, a rebuilt engine and a new generator ( although we understand it is not operating correctly ) These Trintella 47's were voted "Boat of the Year" Best Luxury Cruiser 1998 and the carbon rig version cost over 1,000,000 GBP way back then, so at 150 K US she is something of a bargain. The details contained in this listing are to the best of our Knowledge correct but due to the death of the owner cannot all be verified. 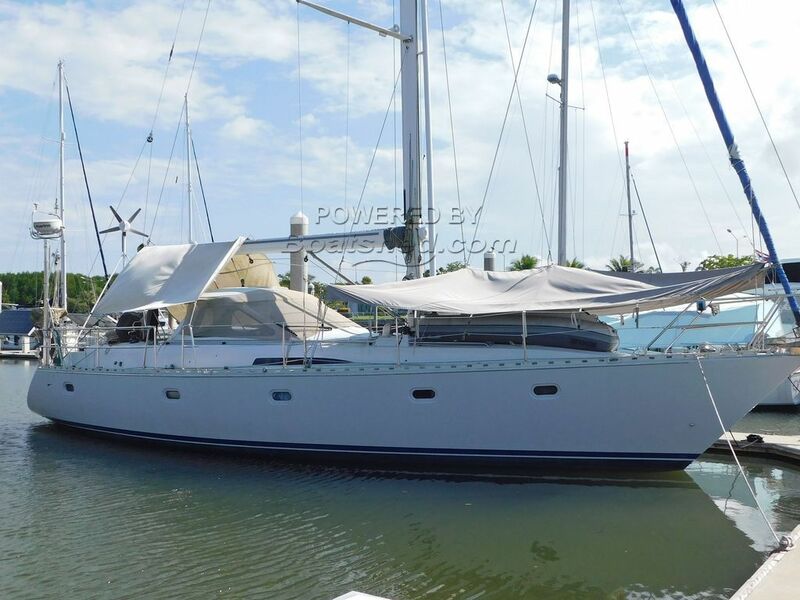 This Trintella 47 Cutter has been personally photographed and viewed by Alan Giles of Boatshed Phuket. Click here for contact details.